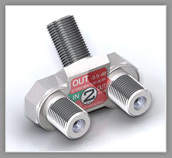 Ultra compact high performance directional coupler. Gale Corporation’s patented high performance slim line wall plate mountable directional couplers are super compact and are able to be used in the most space restrictive wall jacks. This DC has a -6 db tap-port with an in-port and an out-port. Gale Corporation’s patented high performance slim line wall plate mountable directional couplers are super compact and are able to be used in the most space restrictive wall jacks. 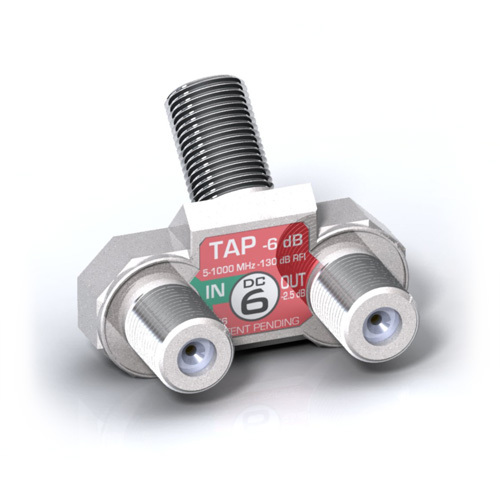 This DC has a -9 db tap-port with an in-port and an out-port. 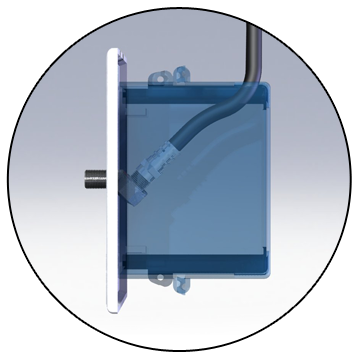 Gale Corporation’s patented high performance slim line wall plate mountable directional couplers are super compact and are able to be used in the most space restrictive wall jacks. This DC has a -12 db tap-port with an in-port and an out-port.